The Betla National Park was given the status of a national park in 1989. This national park in India was also among the earliest 9 tiger reserves in India under 'Project Tiger' in 1974. Sprawling over an expansive area, the Betla National Park in Jharkhand occupies the western region of the Chota Nagpur Plateau. The park supports a wealth of biodiversity and is home to an enormous range of vegetation as well as animals and birds. The woodlands mainly consist of tropical wet evergreen forests, mixed deciduous forests and temperate alpine forests. River Koel and its tributaries also run through the northern portion of the park help the diverse eco-system of the park. 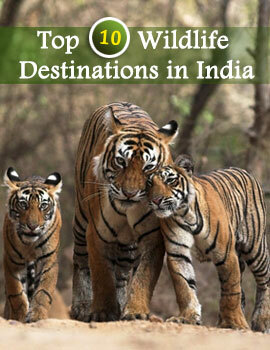 Betla National Park is considered among the best national parks in India to observe animals from close quarters. The park provides a natural habitat to several species of animals such as Elephant, Panther, Leopard, Wild Boar, Tiger, Gaur, Sloth Bear, Sambar, Chital, Nuntjac, Nilgai, Langur, Mouse Deer, Monkeys, Small Indian Civet, Mongoose, Jackals, Porcupine, Ant Eating Pangolin, Jackal. Hyena and more. Elephants can be seen here in large numbers mostly through the monsoon season till March. are common scavengers. Bird-life is also abundant at the Betla National Park. One can easily spot birds such as the Hornbill, Peafowl, Red Jungle Fowl, Black Partridge, White Necked Stork, Black Ibis, Swamp Grey, Quail, Pied Born Bill, Wagtails, Harial, Doves, Drongo, The Crested Serpent-Eagle, Forest Owls, Papiha. The famous Kamaldah Lake also attracts numerous water bird species including the Common Whistling and Cotton Teal, Comb Duck, Snipe and Geese. The park offers elephant rides and jeeps, along with jungle guides. 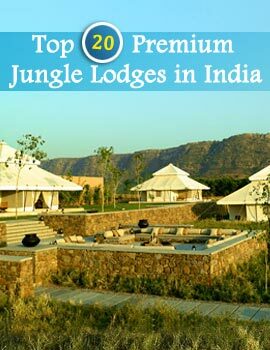 Watch towers and ground hides have also been constructed to observe the fauna of this national park in India. A large number of accommodation avenues to suit every budget are also located in the vicinity. A perfect adventure for any wildlife enthusiast, the Betla National Park should simply not be missed.